With the Civil War about to begin; Southern saboteurs attack frontier railroad construction. Sort of a western-southern movie. 1953 – COLOR – 72 Minutes. Digitally remastered. 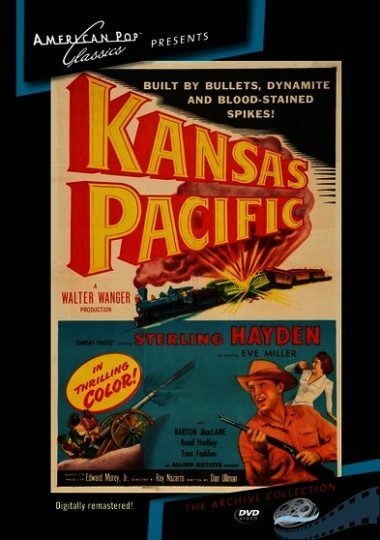 Kansas Pacific – With the Civil War about to begin; Southern saboteurs attack frontier railroad construction. Sort of a western-southern movie. Starring: Sterling Hayden and Eve Miller. 1953 – COLOR – 72 Minutes. DVD, Digitally remastered.